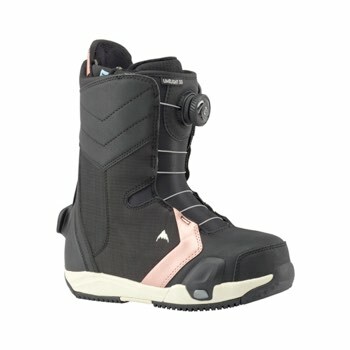 The Burton Limelight Step On Snowboard Boots for Women. 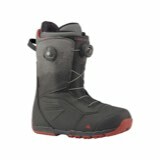 For use exclusively with the Burton Step On binding system. Performance, performance, performance. 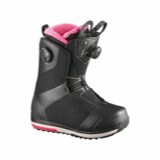 The Burton Step On product will preform great for beginners, but it was not designed specifically for them. 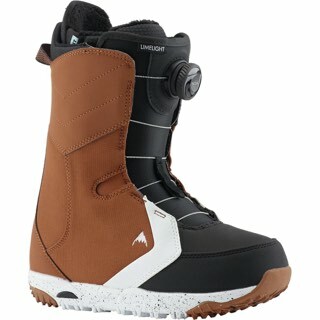 The goal was to make Step On ride as good or better than Burton s Strap-in boot / binding system. 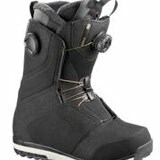 on the heel of all Step On boots acts as the primary retention component for the Step On system. Exit the binding easily using the quick release lever. Once disengaged, it instantly resets the lock for hands-free re-entry. **Issues with snow build-up that created problems with the step-in systems of the past still has not been solved. However, snow build-up isn t something you want in any binding regardless of its retention mechanism. 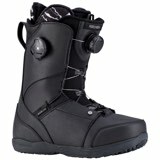 **Traditional bindings/ boots allow entry with snow in the tray, where as the Step On system will not.